Edge-Rite's table shears are designed with the consumer in mind. From its precision machining process to the final assembly and quality inspection, each unit is manufactured with the user in mind. These units offer both ease of operation and unparalleled safety features. Each unit is ready to use right out of the box, no adjustments necessary. 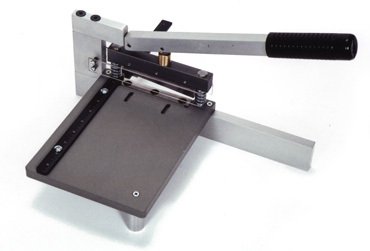 The Edge-Rite 12" Table Shear offers quick and clean cutting of either plastic or metal. 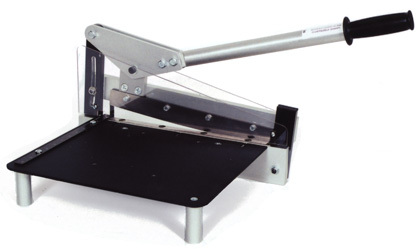 For smaller jobs, consider our 4" Mini Shear. Our table shears can be fitted with two different blade types, depending on your cutting needs. manufactured and assembled on site. Weight : 30 lbs. 11 lbs. Max. Stock Width : 12" 4"
Flexible plastic up to 0.063"
We also resharpen shear blades, at a reasonable price. Resharpening and shipping can take some time, though, so consider having spare blades available.